Free Play the Bally Tech Hot Shot online slots pokies game. Hot Shot is one of the more popular slots from Bally’s and it is a top choice game in land casinos and it’s especially popular in the USA. It is also available online and presents the chance to win amazing jackpots. This progressive pokie has some nice game features that make for an entertaining experience and with 40 paylines, the game remains an affordable choice since it is a penny slot style game. The game offers a 7s theme and players will find that the base game winnings are pretty decent, though most will be playing with the hopes of winning a progressive payout. Aristocrat online pokies players will like playing this free Bally slot right below. The game visuals are rather plain and boring and players will see classic symbols like 7s and blazing 7s on the reels. There are also bells, bars and cherries as well as a dollar sign. When winning combinations are created, the icons will become animated, but overall the game graphics are pretty standard and compared to other bally slots this game does not stand up in terms of visual presentation. When playing this game for real money bets, players will have many options when placing wagers. 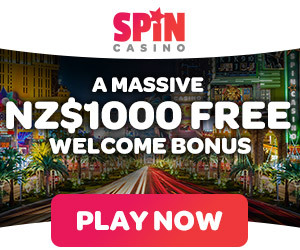 The betting options range from just $0.01 all the way to $1000 per spin, so it is a perfect game for low and high rollers. The maximum payout on the game is 10,000 credits and there are multipliers that can be used to boost this amount. This is one of the more rewarding progressive games online and with nice base game payouts, players will be able to keep spinning for their chance to win the progressive. Players will enjoy the mini games bonuses that are featured and this feature is triggered by getting three or more symbols on a payline. These symbols will then turn into mini pokie machines where players can win even more. During this round, players can win the progressive jackpot and will also benefit from nice standard rewards. The minimum jackpot amounts range from 10 to 10,000 credits. There is also a Top Wheel feature and this is triggered by getting three bonus icons on the reels. This will spin a wheel and players can instantly collect between 8,000 and 400,000 credits. There is also a Free Games Wheel, triggered with three mixed bonus icons on the reels. This can provide punters as many as 50 bonus games and players can enjoy multipliers that range from 2x to 5x. Hot Shot is one of the more exciting progressive pokies out there and since there are other game bonuses and great base game payouts, the game has attracted many over the years. This is definitely a game for those that like a classic theme and who are looking for multiple wins from a single spin. Hot Shot is a game that should be played by any pokie player and while it may lack some excitement and animations, the game is well designed and a joy to play.